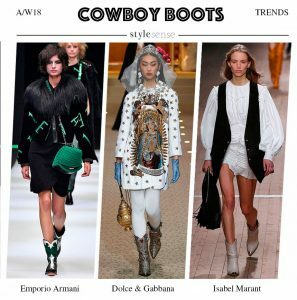 Posted May 16th, 2018 & under AW18 Trends, Fashion Tips, Fashion Trends, Personal Shopper. 2018 has been given a modesty makeover. With female empowerment being on everyone’s lips, this season would be fit for the Queen of England with the demure hemlines, pleats, tweed and tailoring trimmed with grandma’s silk scarves. 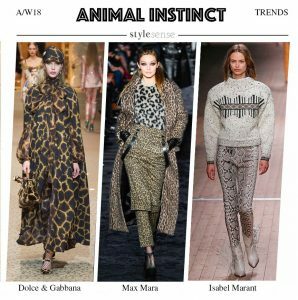 There’s still a 70’s undertone that we’ve seen for many seasons now manifested through the rich, earthy palette – think paprika, chestnut & turmeric – with a smattering of fur, crochet & shearling, topped off with animal print patterns. 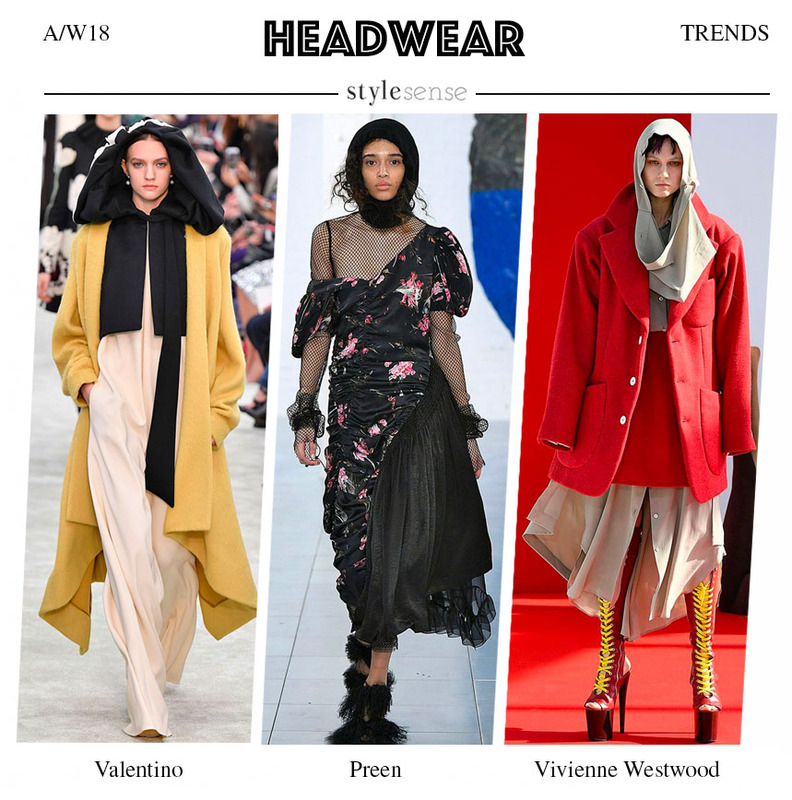 Colour is still a focal fashion trend so don’t go for black just because the nights are drawing in, but instead play with fun shades to improve your mood! If you want to find out the most flattering shades that you should be buying in to then read about my transformative COLOUR CONSULTANT service. 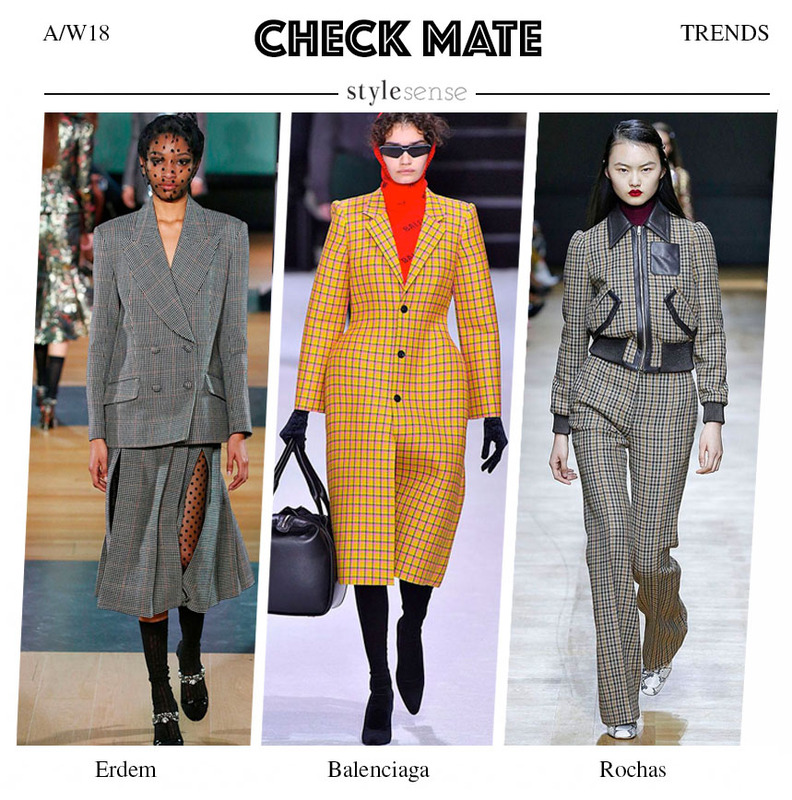 Anyone who’s anyone now has an insta-worthy check blazer but the autumn/winter 18 way to wear this graphic pattern is with the matching bottoms as a full suit. Are you game? Not so much a trend but more of a contemporary classic, mix textures head-to-toe whilst covering the body creates a demure new iteration. No trashy connotations here! But this winter it’s in blown-up 80’s proportions! Silver. 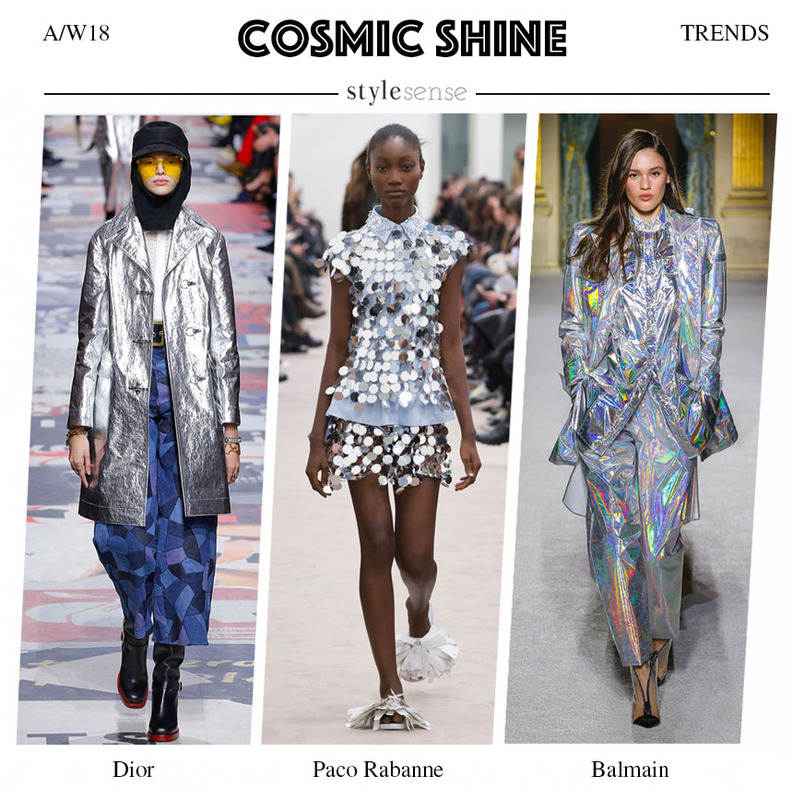 You can choose from a sci-fi slice of the future through to a more wearable coat including everything in between. 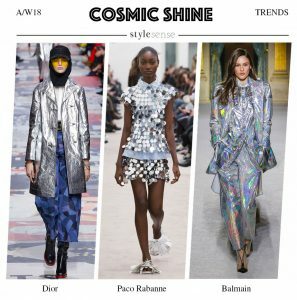 Silver sequins are also having a moment. I’ve been lucky enough to be chosen to appear on the fabulous HAWKINS & CO website. They proudly support Australian business with a focus on ‘everyday elegance’ – we couldn’t be more suitably matched!! They’ve listed my personal styling service under their Sydney stylists as we share similar values in how we dress women in timeless, versatile clothes. I don’t know if it’s because these pieces bring out my inner Ibiza, or that they’re so effortlessly chic I feel like I could dress in them daily but I just LOVE their range. Cleverly they create the look of a dress using separates so if like many women, you’re different sizes on top & bottom, then they cater perfectly to your body type needs. Create the look of a dress using separates so you can get twice the wear out of them by mix ‘n matching the skirt & top back with the rest of your wardrobe. This top would look awesome with a slick dark jean & cream blazer. Add a plain fitted white tee with a cute cap sleeve under this pinafore to make it work for chillier temperatures. 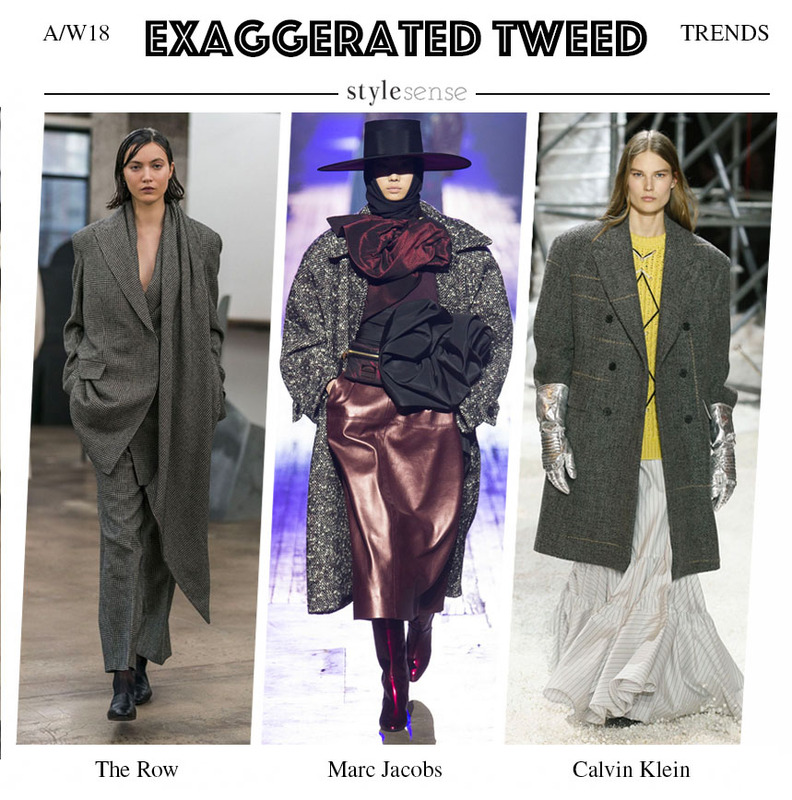 To make it work for winter, just add a polo neck & opaques! This style of dress with a leather knee length boot is a match made in heaven. Keep the boot elegant and ideally tonal in colour and if you’re cold, pop a cami under & throw round an unexpected knitted scarf or fur gilet. They’re on trend so they look edgy but they’re also practical, perfect for day and night, just style with different shoes & make-up! 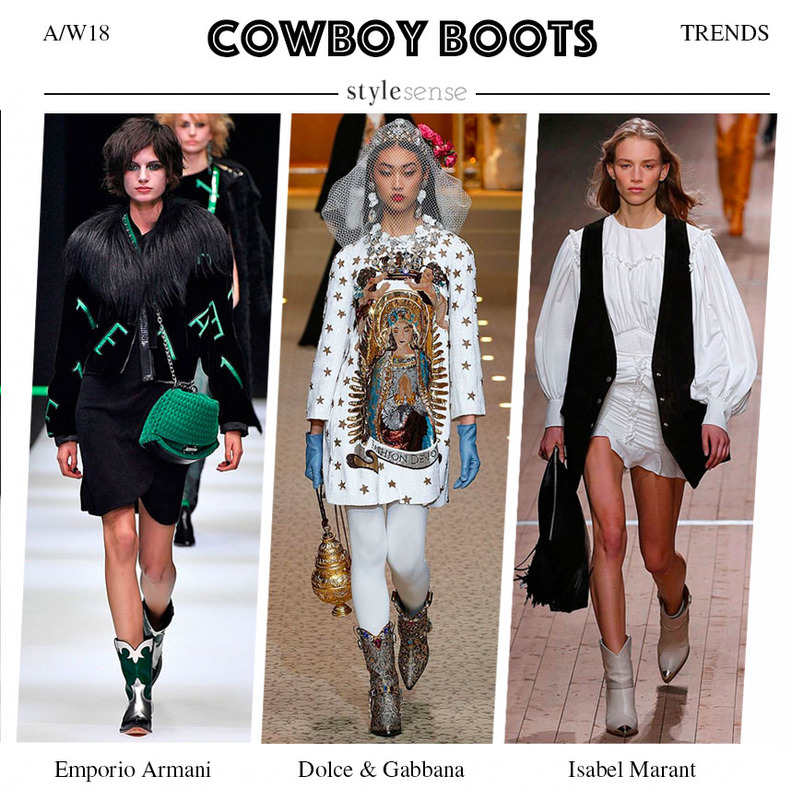 FASHION BLOG AS FEATURED ON MAMA MIA !! 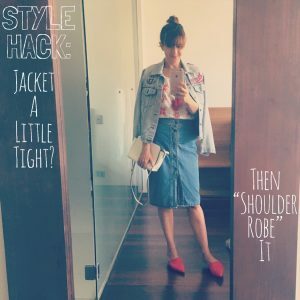 Posted March 13th, 2018 & under Body Shape, Personal Styling Service, Style Makeover Sydney, Stylist Sydney. Working as a personal stylist in Sydney has made me realise just how much my female clients blame their own bodies when clothes don’t fit well. 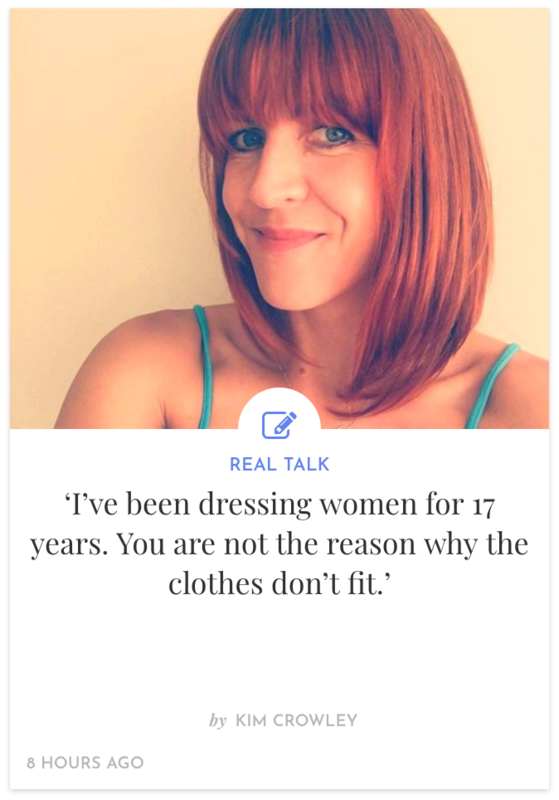 However, from my 17 years working as a fashion designer, I know there’s a gazillion reasons (well maybe not that many) but loads of reasons that garments don’t fit our body type as per the size label they claim to be. …and I know how demoralizing this can be for certain clients. I’m SO chuffed they chose to publish my blog post, i’m a huge supporter of women and know that fashion is never just about clothes, it’s about how we feel about what we see in the mirror every day – our personal branding. Body confidence & clothing are deeply intertwined and I’m on a one-women-mission to make dressing and shopping a more positive experience for Australian women no matter what their shape or size. Posted March 8th, 2018 & under Body Shape, Clothes reflecting our personalities, Fashion Tips, Personal Stylist Sydney. Talking of different female body shapes, i’ve shared a few style hacks linked to body confidence on my instagram so if you’re not following me on ig (where have you been??) then you can see my fashion tips below. 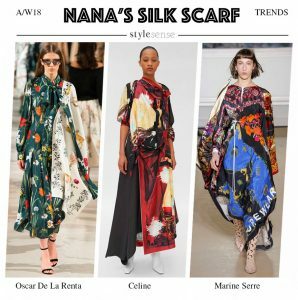 Not only is it our personal style that evolves as we get older, but also what we’re comfortable wearing changes as we question whether it’s still ‘age appropriate’. Now, working as a personal stylist I would argue that too many people are dictated to about what is ‘age appropriate’ as my mum rocks tight jeans and converse at 67 years old and looks amazing, and I see numerous older women looking chic in outfits that others may feel is a more ‘youthful’ outfit. However, the subject of hem lengths is one to consider, therefore I have suggested that you can still wear these shorter, lightweight dresses but as tops… and they don’t even need sewing!!! 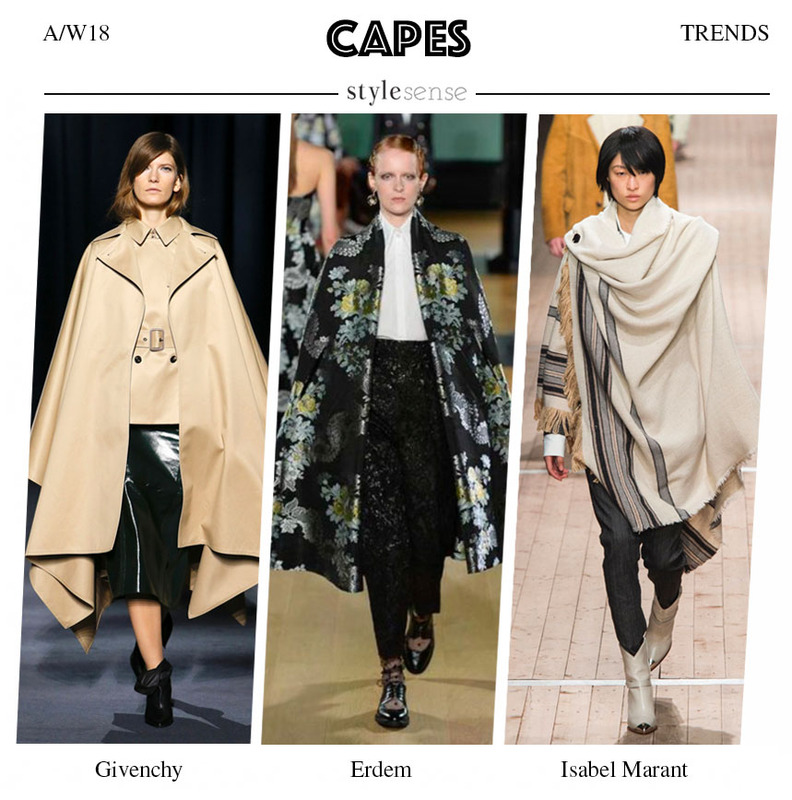 Many clients still have tunics in their closet from the fashion trend a few years back so these can be re-purposed as tops too which give them a modern day style makeover. On the subject of showing skin, recent fashion trends have increased the amount of cut-outs we see in our dresses, jumpsuits & tops. 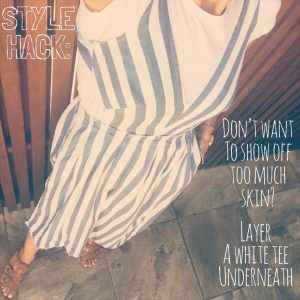 If you feel like you want to show less skin for a daytime look or maybe you’ve just become less body confident, then layer under a fitted white tee to get more wear from it. It suits all different body types and a white tee is an essential that you need in your wardrobe! 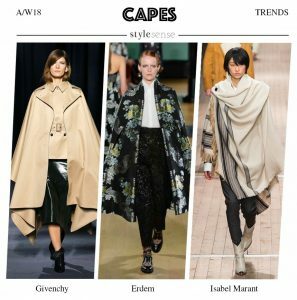 I love it when a fashion trend actually works in the real world and shoulder robing is a great one. It’s handy when you want to pop something around your shoulders and you don’t want a scarf, because, let’s face it, they’re a bit dated. 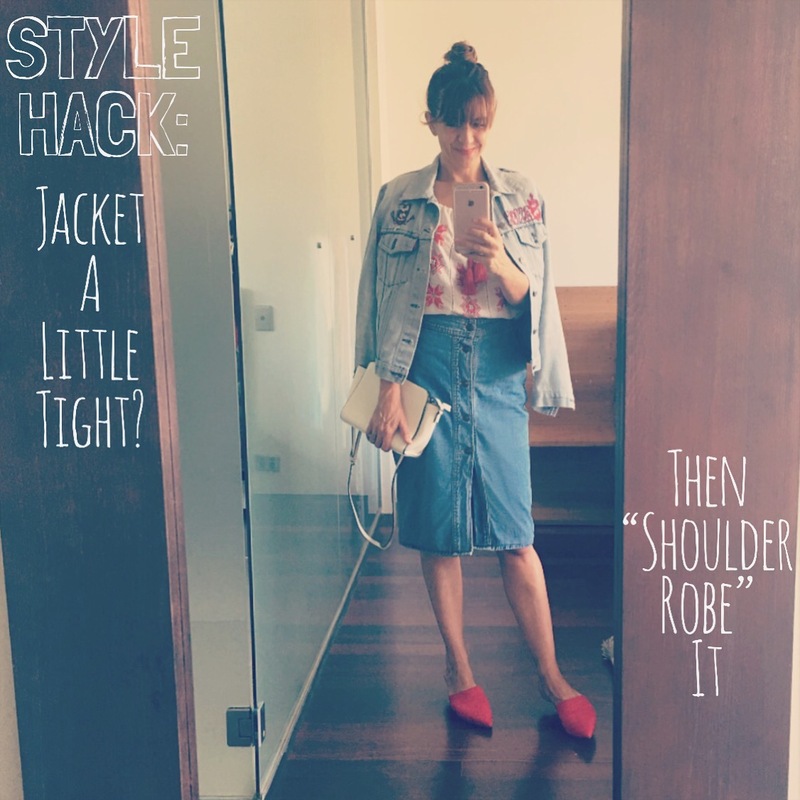 It dresses up the most humble of clothes styles, I feel like I could wear my denim jacket out to somewhere glam if worn over my shoulders. But the best advantage is that for those of us who are pregnant, fluctuate with their weight or just have a favorite jacket they no longer fit it, then slinging it around your shoulders is the answer! Make sure the shoulder/sleeve seam is anchored on your body so it doesn’t slip off easily and off you go! I feel like to need to address the topic of stilettos. 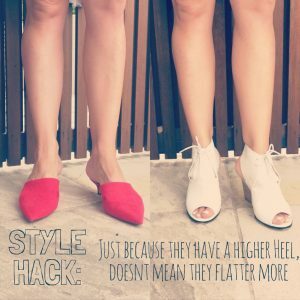 I’ve had a few female clients that get in to auto pilot and pair everything with a high heel thinking their legs will look longer and slimmer. However, if the heel is chunky, a bad design or finishes at an awkward place on the ankle then they are no more flattering than welly boot! Fundamentally, the shoe needs to be elegant and suit YOUR LEG SHAPE & PROPORTIONS to add length cue the reason for a professional personal stylist to give you individual advice. 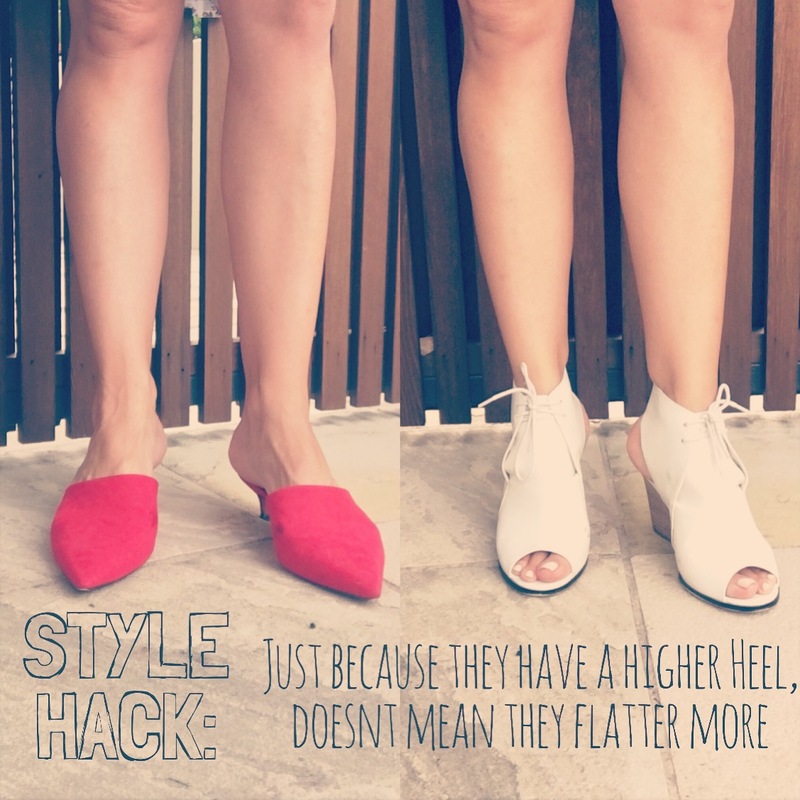 You’re better off wearing a lower heel that flatters you more and a style you can walk around in all day long so you look consistently fabulous (the sign of a stylish person), rather than struggle in a stiletto for a few hours – and then change in to your jandles (insert sad face shaking head emoji). For those of you who know me will know I bang on about the importance of altering your clothes to make them fit YOUR body shape, as seen here. 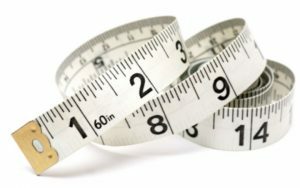 If you’re of average build and height then you may not feel like you should pay extra to tailor a style as generally clothes would tend to fit your body type well. 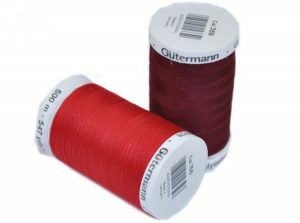 However for those of us who are petite, tall or curvy then the cost of a quick alteration is something we frequently have to factor in to the price of the garment. Yet what ever type of shape you may be, online shopping can be a challenge trying to work out what size to purchase from each brand as they all come up different (cue previous post that explains this in more depth). Well, let me introduce you to the PerfectFit app from Haru. Want to know more? Here is a short clip that explains HARU. and our product PerfectFit a little further! Remeber to visit our website www.heyharu.com to find out more and to sign up for the first trial! HARU is a forward thinking brand who are tapping in to this problem by taking body shape to a whole new level. Firstly they map your body measurements using an app and then compare them with various online brands who can offer garments in your perfect fit! So Haru’s approach to dressing for your body shape is to minimise the need for alterations after, by defining the shape of your body first! So of course, there are many different body types – particularly female body types – but this process makes shopping more successful (& therefore enjoyable) so next time you receive your parcel in the post you can be sure your selection will work for you. 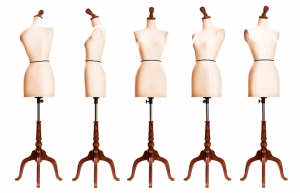 There’s no such thing as the perfect body shape, but there can be the perfect fit! 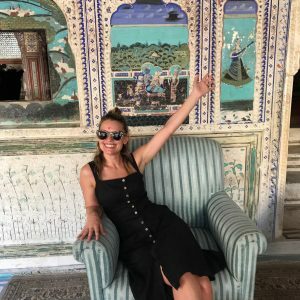 Posted February 15th, 2018 & under Body Shape, Personal Stylist Sydney, Style Makeover Sydney. Ok, so you know there are several female body types but what if you can’t work out what shape you are, but still want to look good? What if you want to hit the shops with a style in mind that you think could flatter you regardless of the shape of your body? To have an idea of what might suit you is better than no idea right? When I meet women in Sydney and they find out I work as a personal stylist, the first question I get asked is “what dress shapes suit my body type?” although most of the time I can’t make out their figure! Therefore, I decided that rather than asking them to strip down, I thought a more appropriate response would be to tell them about a fantastic style that would probably look good on them. If you ask the question ‘what is my body type?’ click here to find out. During my personal styling service, I aim to simplify dressing for your body shape, now i’m not saying this will suit every single female as I don’t adopt a ‘one size fits all’ approach but ‘one style fits most’ is a pretty good start! 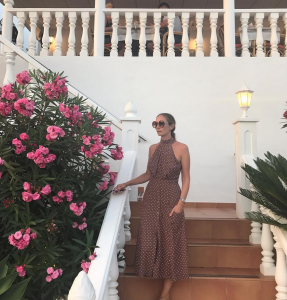 It might not align with your personal taste which is another key factor when finding what ‘fits’ you, but in my experience as a Sydney stylist this dress is a fantastic, reliable go-to style. This classic little number tends to flatter pretty much ALL types of body shapes… and not many garments can claim that! So if you feel a little lost when you’re next out shopping, buying a frock like this would be a worthwhile purchase. A lot of retailers have their own version but go armed with my list above and try to find a version that works best for you. If you need help then just contact me to be your shopping buddy and read all about the advantages of booking my PERSONAL SHOPPER service. 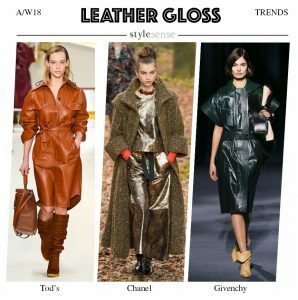 Posted February 9th, 2018 & under Body Shape, Fashion Tips, Personal Stylist Sydney, Stylist Sydney. It can be a tricky area with even the most perfect of physiques having their own hang up’s about their body image. During my personal styling service, I’m all about empowering clients to make the best choices and to magnify people’s ‘best bits’. Don’t let a size tag change your mind about buying – or not buying – an item. 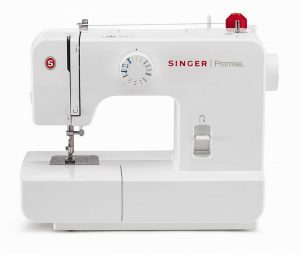 If you consider the above and then imagine that some paneled skirts could have 6 seams, if the seamstress takes off just a few millimeters too much seam allowance whilst sewing the panels together, that means your skirt ends up half a size smaller!!! I understand that the number on a size tag can create an emotional response, but really we need to asses the actual garment size rather than the number that generally represents your body shape. THAT NUMBER DOES NOT DEFINE YOU! Most people have a variety of sizes in their wardrobe – up to 3 sizes either way – so don’t buy something too small or too big, because it’s the size you ‘normally’ take. Buy the size that fits you in THAT store. With lead times decreasing for fashion retailers to get their designs on to the shop floor, often fit sessions would suffer – sessions where we would fit our new designs on to our brands fit model and usually 3 are scheduled per style. Certain brands now boast that they can get a design in to store in 3 weeks (!!) which leaves me questioning how they get time to fit these properly? Do you find yourself often shopping at the same stores? Well this might be because the fit model that a particular brand uses probably has a similar body shape to you so most of their clothes fit well, therefore efficient shopping is about aligning yourself to their fit model. 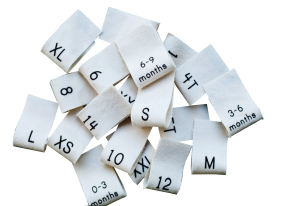 Each brand creates their own customer profile and employs a fit model accordingly which means that a size 10 in Seed could be a size 14 in Cue! The model I used to use when I was designing for a youth fast fashion brand had a tiny frame and very little curve where as for a more mature luxury retailer, I would fit my clothes to a more realistic curvy model with a few lumps & bumps. As a stylist in Sydney I know how different brands fit different body types. 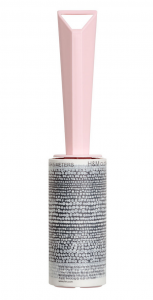 Ok, so the main reason that sizes come up so different is because, cue gasp, there is NO INDUSTRY SIZING STANDARD!! 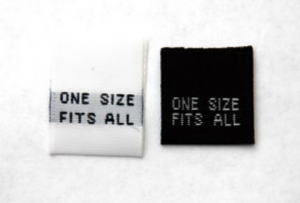 As I mentioned above, each fashion brand creates it’s own customer profile and generates their sizing specifications based on that and there’s no industry guidelines to align them! Allowances in cloth manufacture ie. maybe it’s shrunk slightly in the production dying process compared to the initial sample? Button placement on a waistband could be slightly out? So you can see that there’s so many variables…and imagine if all these things happened to one garment!!???!! 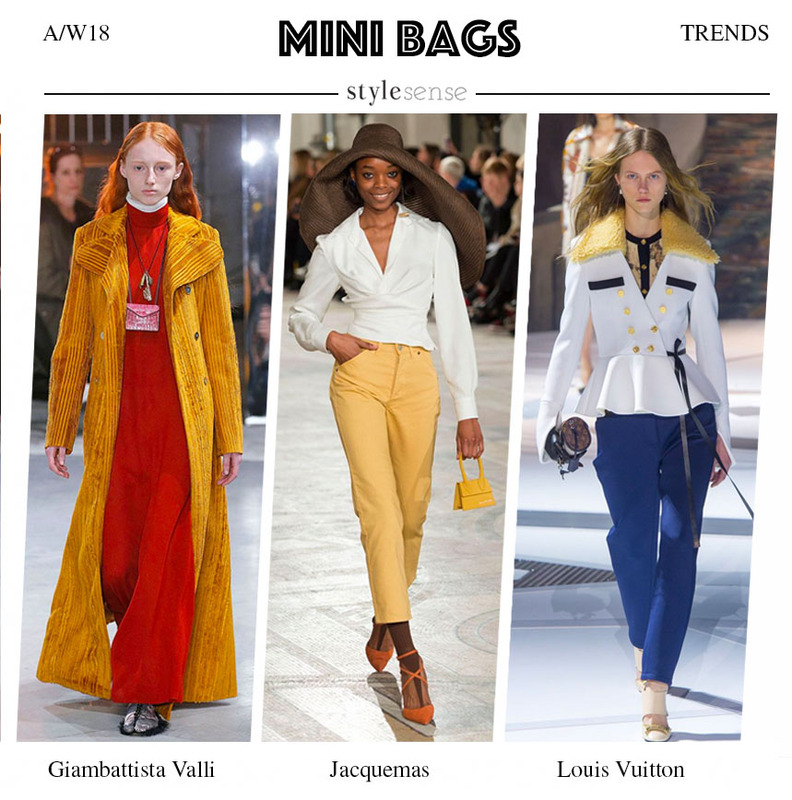 DO NOT LET A SIZE TAG CHANGE YOUR MIND ABOUT BUYING – OR NOT BUYING – AN ITEM!! My advice: take 2 different sizes in to the fitting room, try both and buy the one that looks the best, regardless of the size label it SHOULD be. A good wardrobe doesn’t start and end with great clothes and when we talk about ‘key pieces’, it’s not limited to garments. Here’s a short and inexpensive list of things you need to look better IN your clothes and where to purchase them. It gives your garments a makeover! 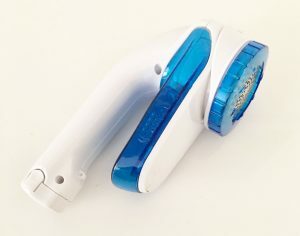 This easy-to-use roller cleans up your fabrics instantly, particularly handy if your hair molts a lot or if you have pets. You can also use sellotape wrapped around your hands. 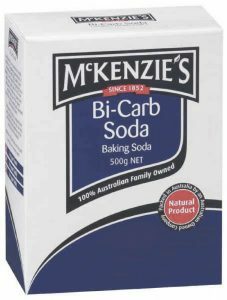 Also known as baking soda, this is the perfect non-chemical way of treating stains and boosts the quality of your liquid detergent. It’s also a natural deodorant, gets rid of smells in your gym kit and you can also drink it as it neutralizes your pH levels! In fact there are sooooo many benefits of this cheap, natural product that you’ll probably start to use it weekly! Click here for 51 fantastic uses. 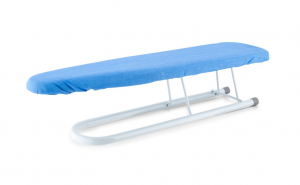 This is like a mini ironing board for those tricky areas to press such as sleeves, perfect for details where you need precision such as tucks, folds and pocket openings. Wooden – wider in size so they take up more space so use more sparingly for jackets / coats, or occasionally lightweight knitwear. 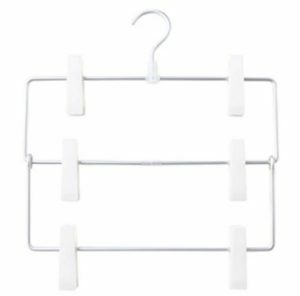 Clip hangers – the one item I tell nearly ALL my clients to buy more of. Clipping your pants, shorts and skirts by the waistband or hem means they’re not crushed when you go to wear them or have that awful horizontal crease formed when folded in half over a standard hanger. 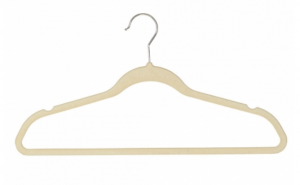 Clip hangers can also come in tired format when you have limited space. Genius. These are fantastic storage for accessories that can get forgotten about and therefore unworn. 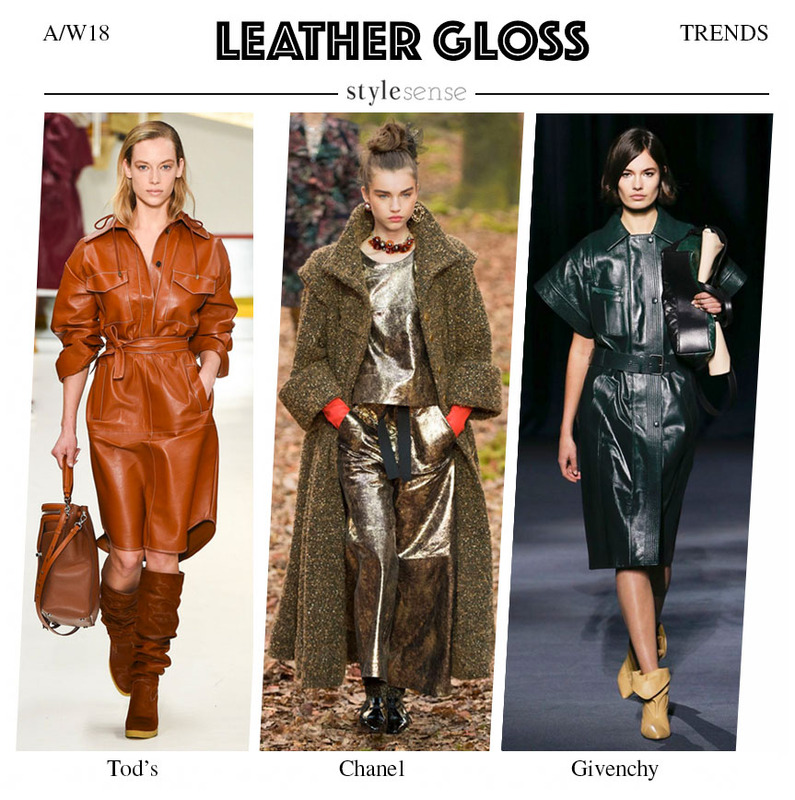 Being able to easily see, and access, these finishing touches are key to creating a stronger fashion look. 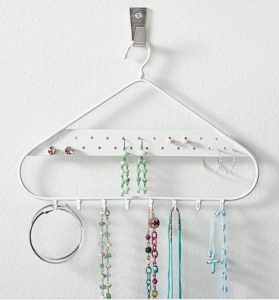 The storage is slim hanging so takes up limited space so hang them front and center and you’re sure to wear them more frequently. There are loads of options so shop around for the style that suits your needs, depending on what you wear most, this one is from ebay. 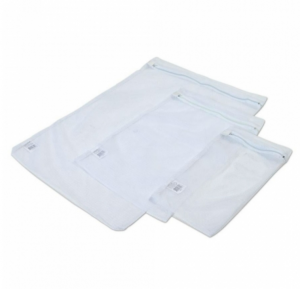 Protect garments from pesky moths and mildew without chemicals. The cedar wood comes in many formats, balls, blocks on hooks as shown here, or hangers so they can fit any space! Wash all your delicates without risk of them being thrown around in the drum of your washing machine. 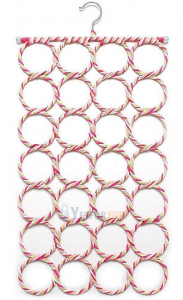 Fasten any bra hooks so they don’t catch on anything else and do up any zips for the same reason. To remove pilling and make your clothes look like new, use a battery controlled fabric shaver or even a razor. Perfect for those areas of frequent friction like under the arms, shoulder bag straps or between the thighs!! Posted January 14th, 2018 & under Personal Shopper, Personal Stylist Sydney. Now that’s a proper bargain. 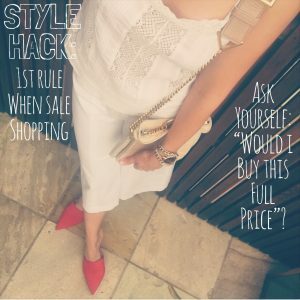 A more expensive fashion purchase is easier to justify if it’s versatile, fits your lifestyle and you know you’ll wear that clothes style on high rotation. If you can’t bring me with your for a PERSONAL SHOPPER experience then think about this when you shop in the sales, DON’T be seduced by a low price (or a bad fashion trend), your clothing choice still needs to be something you love and brings value to your wardrobe. I just purchased a $5 sweater which I absolutely would have bought full price as I know I will enjoy wearing it as it’s true to my personal style. Also consider where you will store it? Some clients have a ‘1-in-1-out’ wardrobe planner policy which is effective when limited for space, which is usually the case in Sydney! It’s easy to ‘consume’ during sale time, buying impulsively which often means without satisfaction. Take my advice, sales are the perfect time to buy that item you’ve had your eye on, now it’s become affordable, (and probably been sitting in your virtual on-line basket for weeks!). That’s a smart way to shop. There’s something incredible about January and seeing our lives tick in to a brand new year, it automatically makes us re-evaluate who we are and how we live our lives. I don’t know 1 single person who isn’t making at least 1 positive change this January to the way they live their life – i’ve pledged to go alcohol free this month!! (apart from 1 day for my friend’s 40th birthday party so you have to allow me that if you see photos on social media). I’m not taking about new year resolutions as we’re all old enough to know they don’t last, i’m talking about making this year better than last and that means starting with our self image. As a personal stylist, I know that what we see every day in the mirror has a profound effect on our well being, do you like what you see? We evolve as people and our closets need to reflect that, cue your wardrobe makeover Sydney! Click below to see my YouTube 2018 style makeover video. Investing time now will set you up for the busy and often challenging year ahead. My personal styling service will reveal a more stylish version of yourself once we’ve organised, edited and generated your new outfits. Life is easier when you plan your weekly meals isn’t it? Well a WARDROBE PLANNER is another (more fun) version of that! We use our wardrobes on multiple occasions EVERY SINGLE DAY, so why do we avoid making the time to clean it out as it’s the quickest and easiest way we can start to look & feel better – and isn’t that what we all want? Because of limited size wardrobes in Sydney, particularly the Eastern Suburbs, we need to edit and rotate our belongings more frequently and be smart about how we use our closet space. 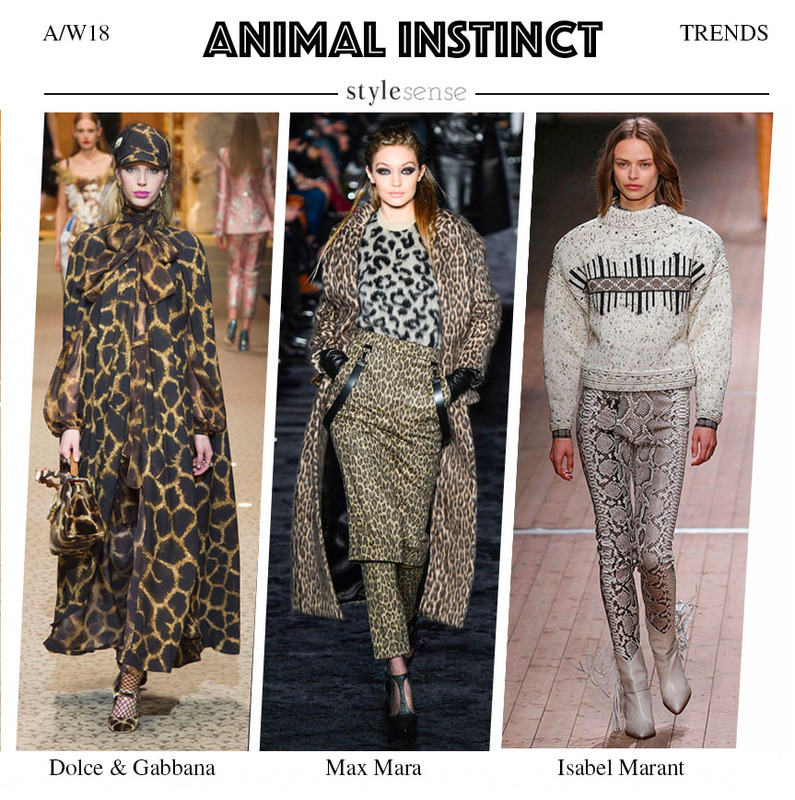 The results of my personal styling service are instant so you get results IMMEDIATELY! So if you’ve over indulged this Christmas and new year, or maybe you need help dressing your body type, I can help you look slimmer instantly by teaching you simple design principles. So stop delaying your self-improvement, what are you scared of, think it won’t work for you, think it will cost you lots of money? Well every single one of my clients is amazed at the results, in fact I conducted a survey and they unanimously fed back that I had over-delivered and if you’re on a budget like many of us are after the festive season, the EXPRESS MAKEOVER is ideal for you. Trust me, you and your clothes will be pleased you did.